The story of The Road To Recovery starts on October 28th 1837. For me personally it started on October 23rd when my wife was transferred to St. John’s Rehab Hospital. It was then that I discovered that the hospital hidden in the gardens on Cummer Avenue was the very first rehab hospital in Ontario. Sunday afternoon I decided to park a short distance from the hospital and walk through Newtonbrook Ravine on my way to visit her. 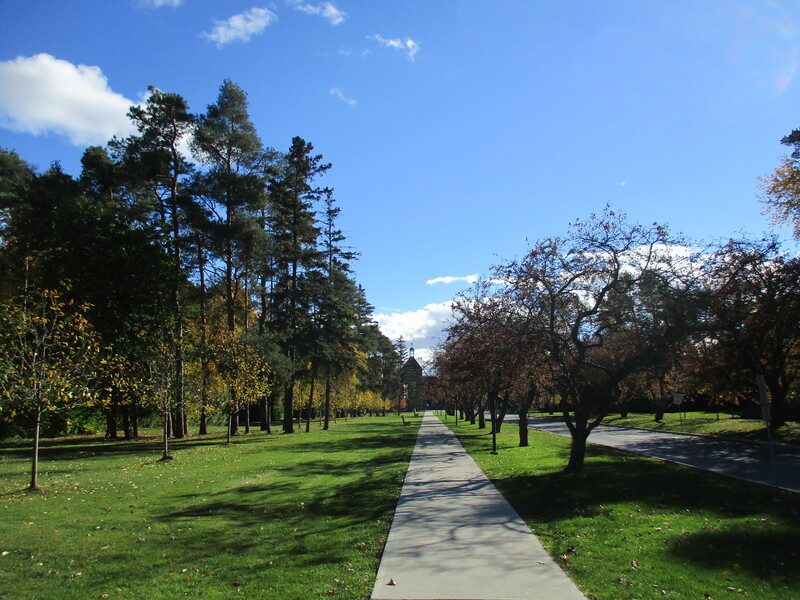 It was a sunny afternoon and the fall air was fresh with a crisp breeze. I parked on Manorcrest Drive near Bayview and Finch and entered Newtonbrook Park. 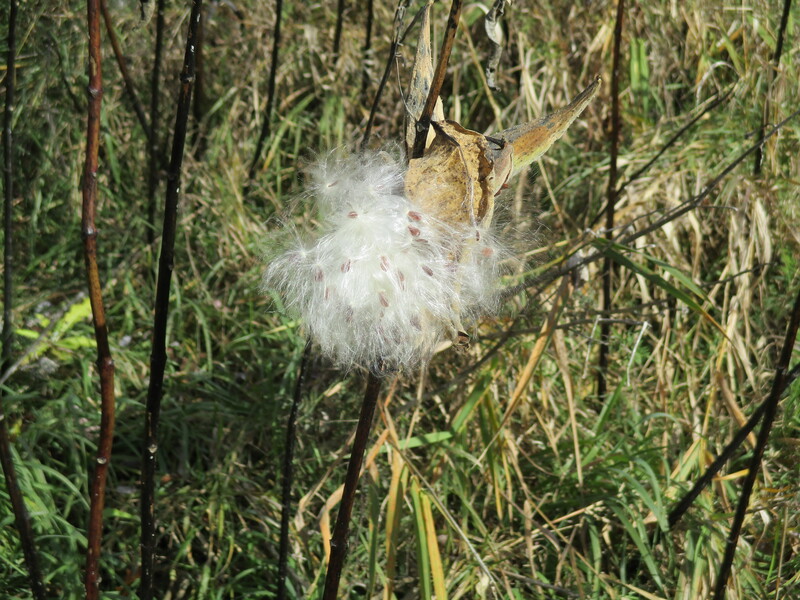 It was a windy day and the milkweed plants were shedding their seeds. Milkweed is essential in the life cycle of the monarch butterfly and it is recommended that everyone grow milkweed in their garden. Collecting local seeds and starting your own plants will bring these beautiful butterflies into your yard. This little park does not connect with the paved path unless you cross Newtonbrook Creek. The water level was low and people have made a stone path through the water. The park itself has some wild stretches along the creek. The sunlight was working on the late leaves bringing the yellow and orange into a bright collage of colour. 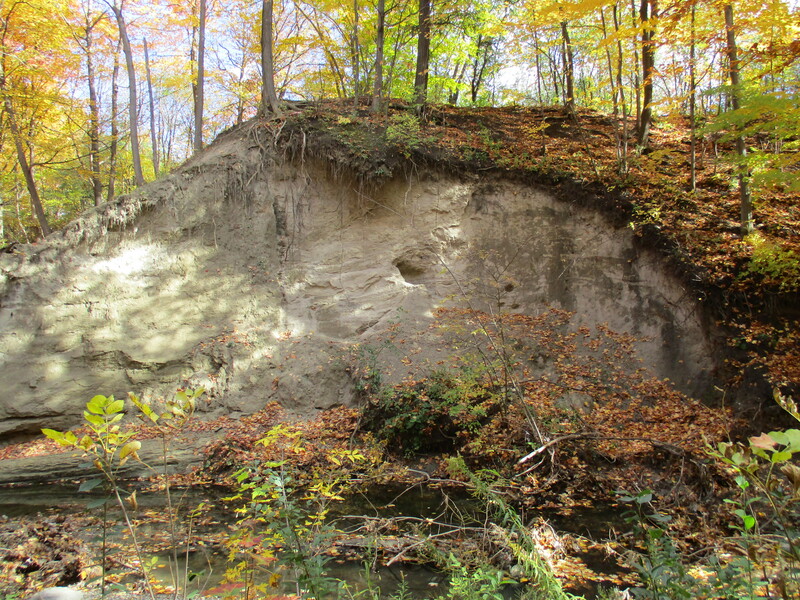 Along the side of Newtonbrook Creek there are extensive sand deposits. The creek has cut through these indicating that it had a much stronger flow at times in the past. The sandbank below had several small holes and one large one cut into it. Suspecting a large animal, perhaps a coyote, had made that large hole I decided to work my way around for a closer view. It is simply a spot where a large chunk of sand fell out due to erosion. Hannah Greir Coome was born in October 1837 at The Carrying Place, Upper Canada. When Hannah’s husband died in 1878 she decided to dedicate her widowhood to the service of God and was on her way to England to join a convent. Having stopped in Toronto on route she met a small group of people who convinced her to start a religious order in Canada. She agreed and joined an Episcopalian-Anglican order in New York state for training. She took her vows on Sep. 8, 1884 and this is the founding date for the Canadian Order of the Sisterhood of Saint John The Divine. 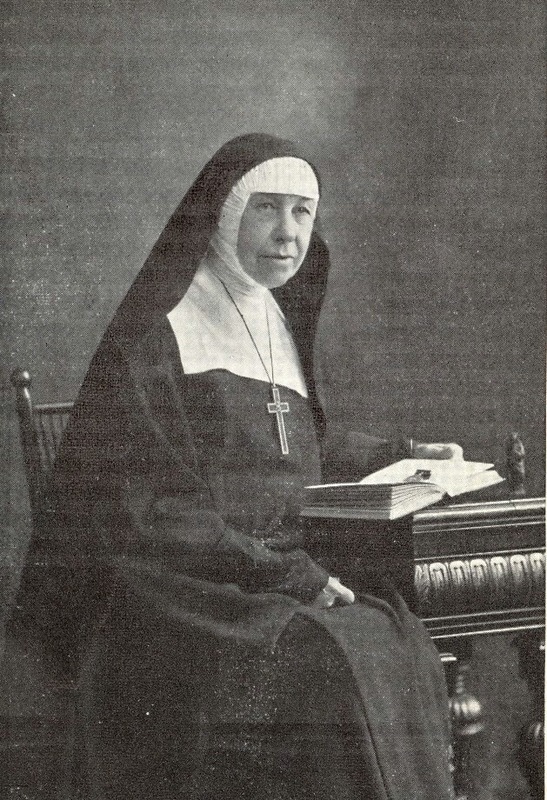 The archive picture below shows Mother Hannah in 1918. On Dec. 27, 1884, the feast day of St. John The Divine, the Order formally opened it’s first convent called St. John’s House. It was located at 71-73 Robinson Street, now renumbered 81-83, and included a dispensary to provide free medication to the poor. In 1885 the adjacent property on Euclid Avenue was acquired and converted into an infirmary which was named St. John’s Surgical Hospital for Women. Hannah had been born in the year of the Upper Canada Rebellion and delayed the opening of the hospital to participate in the 1885 Riel Rebellion. Hannah, along with nurses and a doctor, traveled to Moose Jaw to create a hospital for the Canadian Army. By 1890 a larger hospital was required in Toronto and using this experience several lots were purchased on Major Street for a new facility. This hospital featured large verandas which connected to, or over looked, the gardens. From the beginning open air and access to nature were combined with scientific medicine and the Sister’s prayers and spiritual attention. The hospital always operated independent of government funding and when 1930’s medical advances required excessive investment the Sisters decided to take advantage of their unique approach to convalescence. 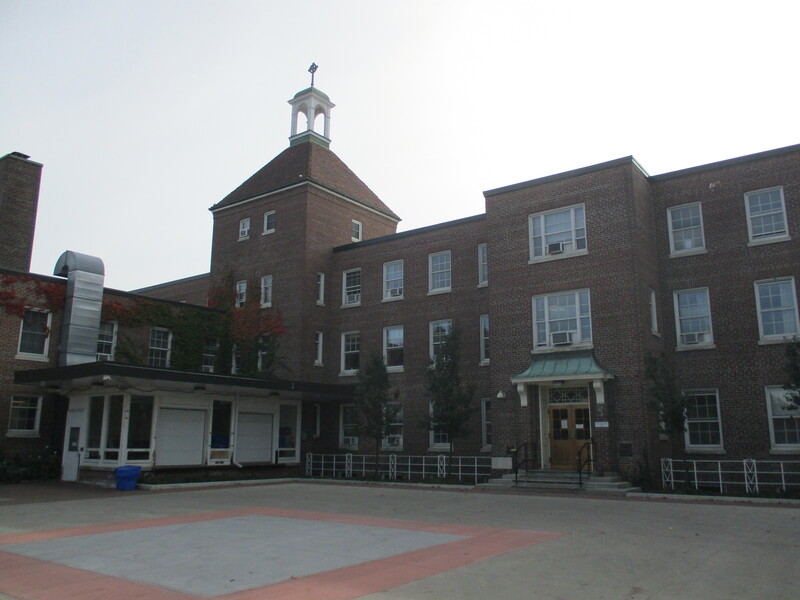 In 1933 they had the idea to create a centre for rehab treatment for patients from all seven Toronto public hospitals. This would free up beds in the hospitals for patients needing active treatment. They laid the corner stone for their new building on Cummer Avenue on October 8, 1935. The Governor General of Canada officially opened the facility on May 22, 1937. The original hospital had the same number of beds as the Major street facility and contained three floors of rooms with a four story bell tower. 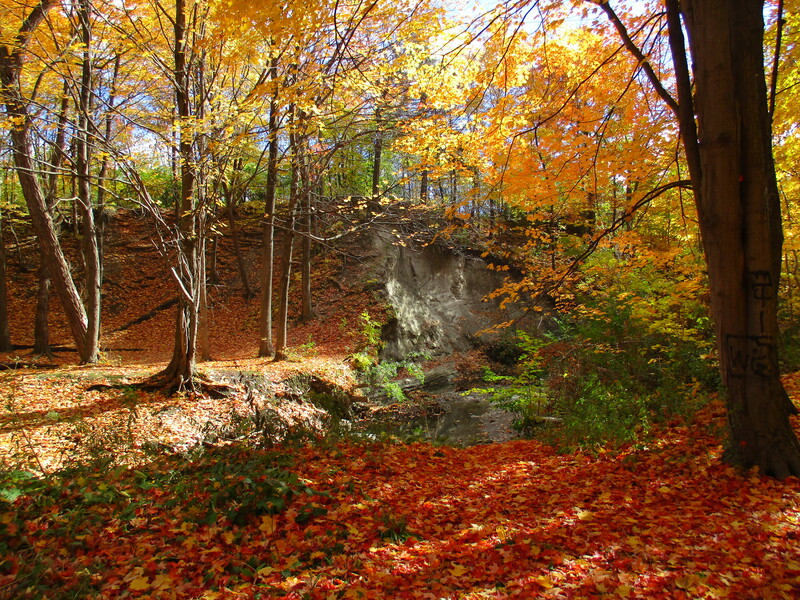 The Sisters owned 31.5 acres of land with the southern border being the Newtonbrook Ravine which features the type of natural beauty displayed above. 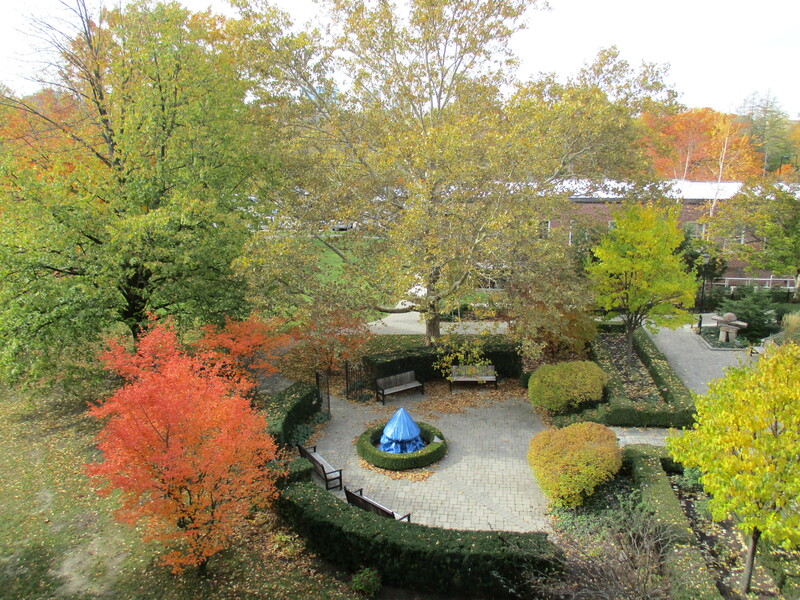 The property was flat farmland but they transformed it into a series of gardens so the patients could experience the calming effect of nature. 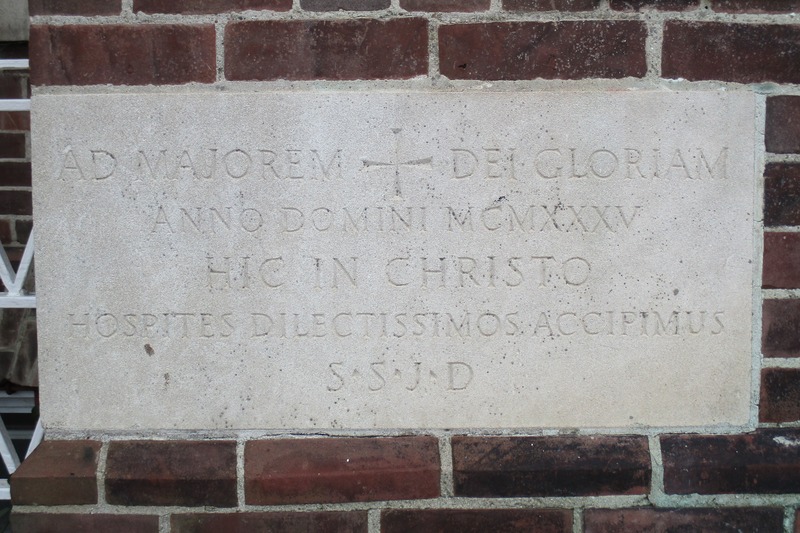 The hospital was founded by an Anglican order on their spiritual principles to specialize in women’s care, especially for the poor. However, they never turned people away based on their gender, race or social status. They asked those who could pay to do so to offset the cost of tending to the needy. They have always included prayer and an open spiritual atmosphere as an essential element of their care. Today they have an open policy that is accepting of all faiths. The chapel was consecrated on June 4, 1953 and is designed to accommodate those in all stages of recovery from beds to wheel chairs then to regular seating. The chapel is beautiful inside and my wife and I spent a few quiet moments there. 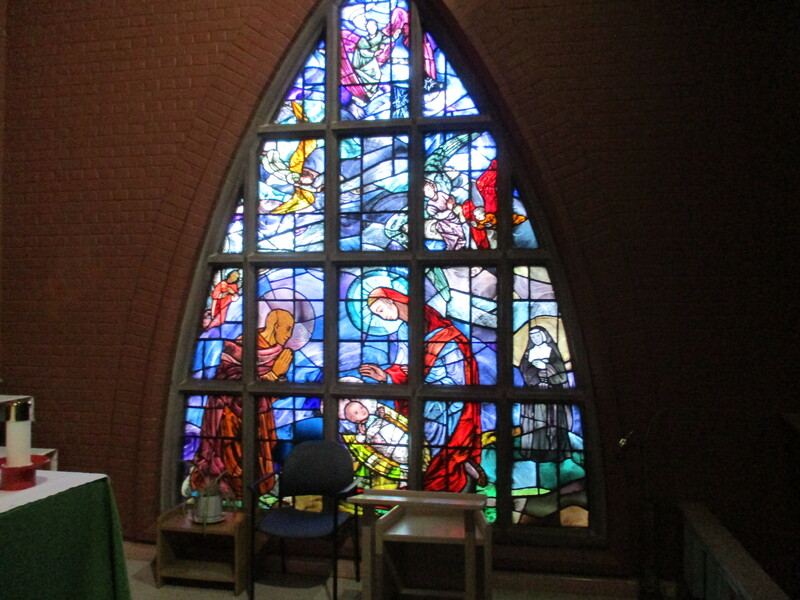 On the east wall is a stained glass mural depicting the sisterhood’s contribution to nursing. Notice the nun in the lower right hand corner. The hospital operated on the Sister’s experience that rehabilitation needed to look after more than just the body, it included the mind and spirit as well. This led to the North American College of Physicians designating them as the standard for rehabilitation. It occurs to me that hiking also challenges the body, stimulates the mind and soothes the spirit. As I left the hospital I stopped to look back down the Road to Recovery at the bell tower and wondered how many people have traveled that road. Going in via hospital vehicle and leaving to go home. 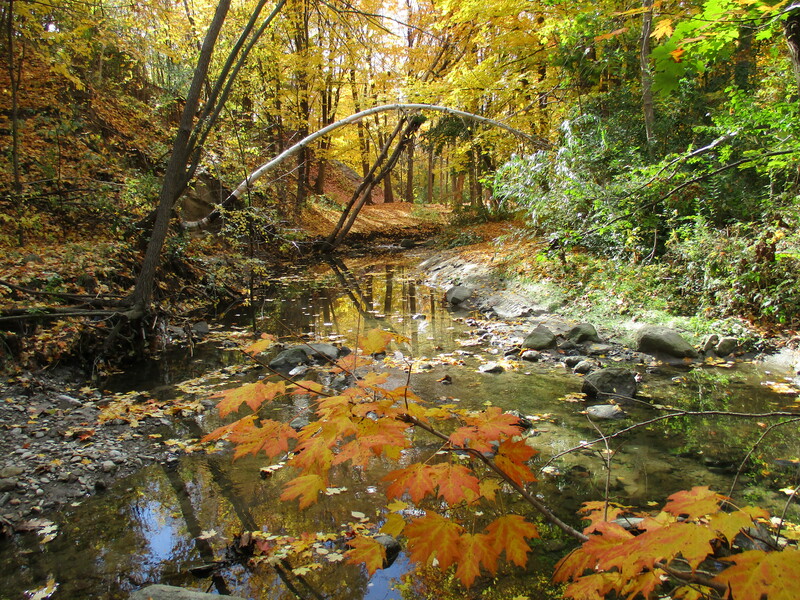 I slowly made my way back through the ravine to the car enjoying the restorative wonder and beauty of creation. This entry was posted in Newtonbrook Creek and tagged milkweed, Newtonbrook Creek, Sisterhood of St. john Divine, St. John's Rehab Hospital on October 29, 2015 by hikingthegta.